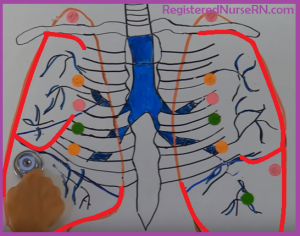 In this article, you will learn the unique sound characteristics of normal breath sounds such as bronchial, vesicular, and bronchovesicular. 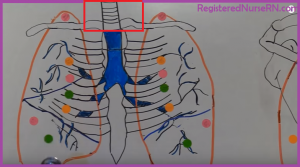 In addition, you will be able to identify the location of these breath sounds within the respiratory system. 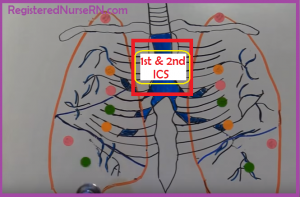 In the previous reviews, I discussed abnormal breath sounds and how to auscultate the lungs that includes the landmark points and auscultation sites. Once you are done reviewing this material, don’t forget to take the lung sounds quiz that includes your ability to audibly identify normal and abnormal breath sounds.